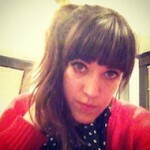 I’m super excited to bring you Feministing Jamz’ first interview! I first saw Julia and Owen play together as My Gay Banjo years ago in a Brooklyn living room, at some sort of potluck talent show combo where I forgot my umbrella (it was a good umbrella). Though the umbrella incident was kinda sad, I still remember that evening quite fondly, for these two totally captured my heart. Since then, this sweet duo has played countless shows, developed a loving audience, and is now on tour across the U.S. promoting their newest album, Country Boys in the City. Verónica Bayetti Flores: Tell us a bit about your music. Who are your inspirations? My Gay Banjo: We are an acoustic duo playing some mix of folk, country and occasionally rocking out. We favor gender-bending harmonies, mash-ups, throw in a little comedy, a lot of sincerity and try for as much audience participation as possible. We love our queer and activist communities. We write and sing about everyday queer life, and country music is an awesome vehicle for this. We both loved the music and songwriting of Joni Mitchell and the Indigo Girls as teenagers. We’ve been influenced by Lucinda Williams, Loretta Lynn, and Gillian Welch, as well as by Pete Seeger’s work to merge activism and music. We love the Topp Twins and how they manage to be hilarious, smart, transgressive, amazing activists and musicians, out queers, and loved by all of New Zealand, conservative and otherwise. VBF: How did you all get started? How did you find each other and decide you wanted to work together? MGB: We often made small talk in the kitchen of Julia’s house when we both lived in the Bay Area. Owen did landscaping with Julia’s housemate and would be lacing up his gardening boots to go to work, while Julia walked by, ate breakfast, etc. It’s wild to think of how the random people in your life can become so central years down the road. We moved back to NYC within a couple years of each other and became housemates, good buddies, and started making music in our kitchen. When Julia added Shakira lyrics to a ditty Owen was playing on the banjo, the rest was herstory. This is the song that started my love for My Gay Banjo. I mean Shakira? SOLD. VBF: Has feminism, activism, and social justice affected the ways you create art? How? MGB: We are both activists and involved in a variety of social justice movements, and we’ve created our music in our spare time at the end of long hard days. It has been a way we renew our energy and have a good time. Our activist circles have been really supportive of our music, and we often play benefits for groups we really respect, like the Sylvia Rivera Law Project and Southerners On New Ground. We have both been trying to weave themes of collective struggle and liberation into our songs – though most are simply love songs and fictional character songs. We choose to mess with traditional gender roles in our song writing, singing, and performance. VBF: You have a song for Chelsea Manning on the new album. I’m interested in hearing what about Chelsea’s story inspired you to dedicate a song to her. 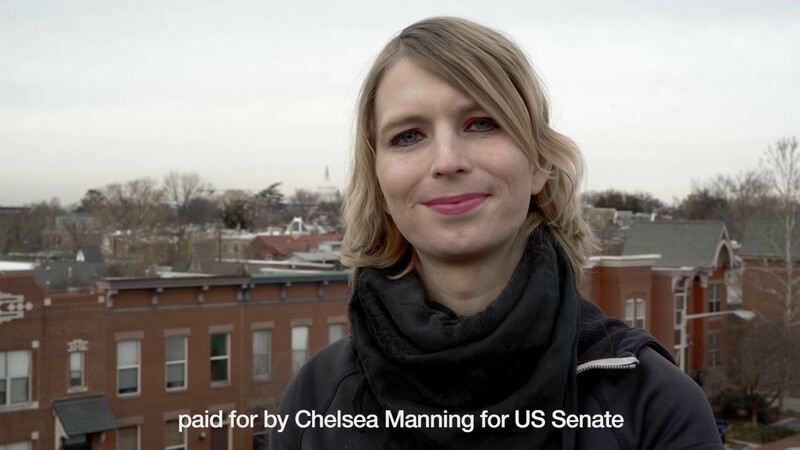 MGB: Bradley Manning came out as Chelsea Manning the day after she was sentenced to 35 years in prison. She had already spent three years in military prison awaiting trial, put in solitary confinement and tortured. All of this for being a whistleblower; leaking video footage and internal documents that show the true and ongoing crimes of this U.S. military in Iraq and Afghanistan. Like many other whistleblowers, she is being severely punished and made an example of in order to scare other people who would potentially speak out. We were inspired by Chelsea’s courage to defy the military from inside of it, then stand by her own actions, and come out publicly as transgender. It made us think about how these different kinds of courage are connected at the root, and how we all have access to this within ourselves, drawing on it for the strength to act. 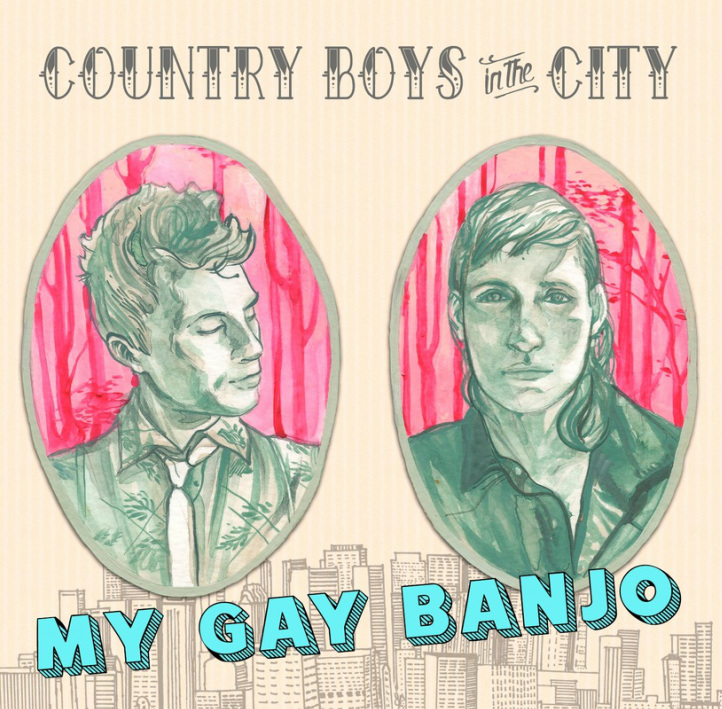 VBF: Does your gay banjo have a name? MGB: No. Sorry. Pete Seeger signed it last year, though, so his name is on it. We’ll think about naming it – why not! Maybe ‘Grandma’? How about ‘Sassy’? Maybe ‘Sister Moon’. VBF: Tell us about your Country Boys in the City tour. It’s been great so far! We’ve been through the Mid-Atlantic, Appalachia, and the South. We’re on our way back up north now and will play a bunch New York and New England shows, ending in Brooklyn on March 16 with a queer country blow-out. Check us out! See you there! Go see ‘em folks – check out their tour dates here! Verónica is super excited to see My Gay Banjo playing again soon! Janelle Monáe has blessed us with two new music videos “Make Me Feel” and “Django Jane” and I don’t know about you, but they’ve been on repeat at my house. Both songs are Black feminist anthems that explore gender, sexuality, and race. Watching these videos is an escape away from daily stress – they remind me that I am an empowered woman of color and should celebrate the intersections of my identities. Monáe herself calls her videos “emotion pictures” after all. A federal judge ordered the U.S. government to allow an undocumented teenager in its custody to have an abortion, after the Trump administration tried to prevent her from having the procedure. This study shows that 75% of victims who speak out against workplace sexual harassment experience some form of retaliation. Read Shannon Keating’s essay on the sexual harassment of queer women, and the men who say women shouldn’t be queer unless they perform their queerness for male consumption. New York City just expanded its paid sick leave law to include paid safe days for survivors of gender violence.